Rogue San Badger is out of Rooster Wilson (NRHA Limited Non Pro title winner) grandsire Gallo Del Cielo (Peppy San Badger x Docs Starlight x Doc Wilson) who has a 3 million dollar sire status for the NRCHA. 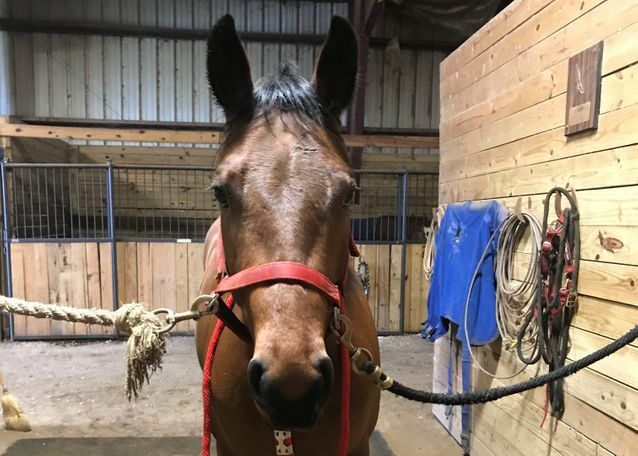 Rogue is an athletic and intelligent mare, who is a lot of fun to teach. She is a quick learner and excels in her lessons. She stands 14.2 hands, with a strong and stocky build. Rogue knows to move off your leg pressure, she knows her leads, does great with lead change drills, turn around drills and stops when you take your legs off of her. Rogue was born, raised, and trained through the Ohio State University equine program, until an age of 3 years. Rogue then received 4 months of professional training by Tim Clyne of TC Performance Horses. Hope Oda spent an additional 5 months in reining and cow work training. 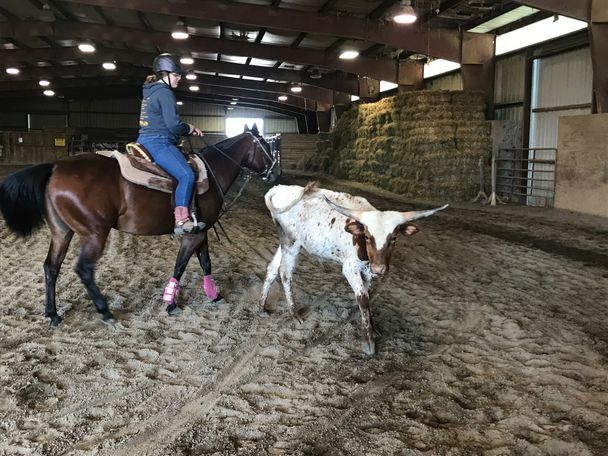 Rogue would be an excellent candidate for reining ranch horse shows and reining cow horse shows. In addition, this mare would make a promising 4 or 5 year derby prospect. Cow work is one of Rogues many talents as she has shown a flare for interacting with cattle. She does very well in maneuvering trail obstacles, including logs, water, backing through a shoot, opening and closing a gate, side passing over a log, and pivoting in a square. Rogue can drag a log and roping dummy with no hesitation. She has experience in standing dummy roping. 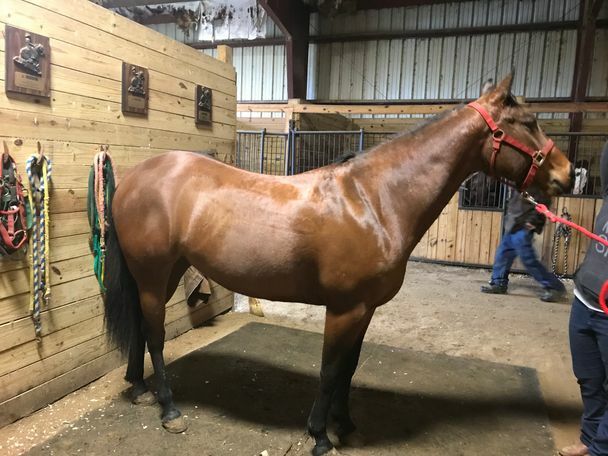 Rogue loads, clips, bathes, and stands for the farrier. She has good ground manners and enjoys being social. 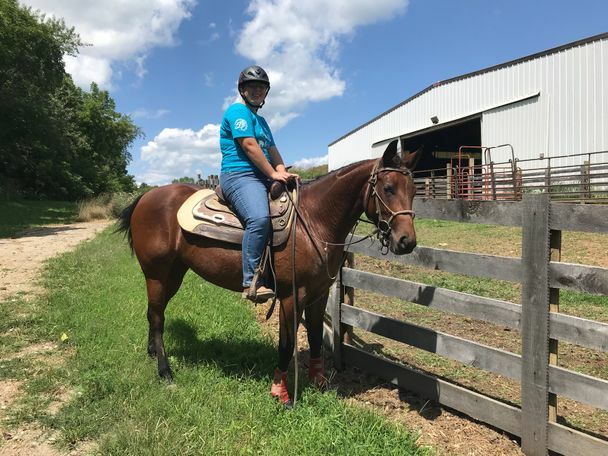 This mare has no vices or stall habits. Contact Hope Oda at (740)689-5731 or Tim Clyne at (740)804-2276 or Laura Clyne at (740)656-3615 for questions or to set up an appointment.